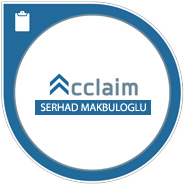 ADFS 2.0 ile ilgili karşılaşılabilecek olan sorunlar için yayınlanmış olan makaleler aşağıdaki gibidir. ADFS 2.0 connectivity problems: “This page cannot be displayed” – You receive a “This page cannot be displayed” error message when you try to access an application on a website that uses AD FS 2.0. Provides a resolution. ADFS 2.0 ADFS service configuration and startup issues-ADFS service won’t start – Provides troubleshooting steps for ADFS service configuration and startup problems. ADFS 2.0 Certificate problems-An error occurred during an attempt to build the certificate chain – A certificate-related change in AD FS 2.0 causes certificate, SSL, and trust errors triggers errors including Event 133. Provides a resolution. ADFS 2.0 authentication problems: “Not Authorized HTTP error 401” – You cannot authenticate an account in AD FS 2.0, that you are prompted for credentials, and event 111 is logged. Provides a resolution. ADFS 2.0 claims rules problems: “Access is denied” – You receive an “Access Denied” error message when you try to access an application in AD FS 2.0. Provides a resolution.